The rumors have been flying around about Microsoft getting rid of the Elite SKU model of their XBOX 360 product line, but where does that leave the other two SKU's? Arcade Model: Will stay the same except getting more internal memory from 256MB to 512MB and getting the chrome disk drive instead of the matte. Pricing will stay the same for now.Pro Model:Will receive an upgraded hard drive from 60GB to 80GB. Pricing will stay the same for now. 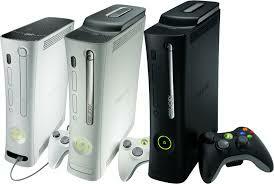 Arcade Model: 20GB hard drive will be included as well as the 256MB of internal memory. This will allow for easier swapping and backup options. Included game will change and prices will stay the same. Pro Model: 80 or 120GB hard drive upgrade with addition of 256MB of internal memory for same reasons as Arcade. Included games will change and HDMI cable will be included. Price may drop from 299.99 to 279.99. Future limited edition models will include themed console with matching controller, 180GB or 200GB hard drive, whatever included game and a price of $379.99 to 399.99. Disk drive color will also receive a "situational" change. All Elite accessories will still be included as well as a possible wireless headset upgrade. These are just rumors, BUT let us remind you that the sources are good. We believe that at least some of the previously mentioned changes will occur. Possibly even mixing and matching and a little bit from here and there. Copyright 2008-2009 VGE Utopia. All rights reserved.